Deep Exploration Technologies Cooperative Research Centre (DET CRC) has signed a licencing agreement for its technology for monitoring and optimising diamond drilling, the Wireless Sub, with Boart Longyear, the leading global supplier of drilling services, drilling equipment and performance tooling. The Wireless Sub couples the drill rig to the drill rods in the hole and provides real-time measurement of additional, and more accurate, drilling parameters than provided by traditional drill rig gauges (namely feed force, torque, water pressure, rotation speed, axial acceleration and tangential acceleration). Simply using the data logging feature of the Wireless Sub will enable all drillers to replicate the highest performing parameters in any given drilling program. Real-time data from remote drilling sites can be reviewed worldwide by exploration teams. Combined with drilling optimisation software, these data will enable drillers of any level of experience to rapidly determine the most effective drilling parameters. The Wireless Sub is the third major technology licenced by DET CRC, following the AutoSonde for downhole determination of rock properties and the Lab-at-Rig® for surface determination of geochemistry and mineralogy. 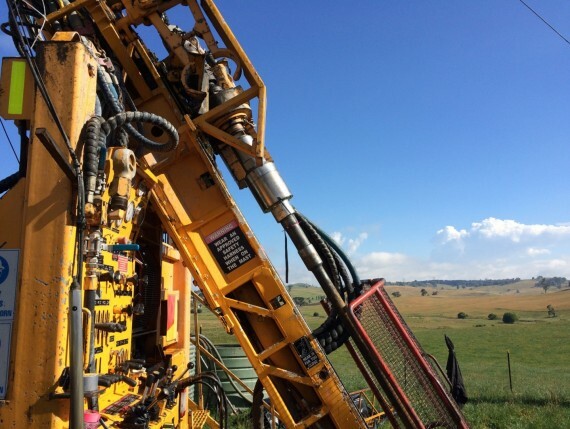 Together these technologies provide a suite of real-time or near real-time drilling, geophysical and geological data from the drill site and are important developments towards the sensing that will accompany DET CRC’s flagship project the RoXplorer® coiled tubing drill rig for mineral exploration. The Deep Exploration Technologies Cooperative Research Centre (CET CRC) was established in 2010 under the Australian Government’s CRC Program to develop technologies to discover new mineral deposits at depth beneath barren rock cover.